Sometimes it can be difficult to get the kids corralled before bed. Just getting them into pajamas can feel like an accomplishment some nights! But there are a few things you can do to create a calming atmosphere and restful night for everyone. It's really not very hard to create a peaceful bedtime routine. Just a few small changes and your kids (and you!) can be sleeping so much better. Creating a peaceful bedtime routine doesn't have to be difficult. If you make a few small changes, you'll see a world of difference in how rested everyone feels. While we don't do everything listed every single night, just adding a few of these changes really does help create a peaceful bedtime routine for the whole family. The best way to make an evening routine that works for your family is to create a predictable, calming schedule that begins right after dinner. Kids thrive on routine and that can work to your advantage when it comes to creating your peaceful bedtime routine. If it helps (and your kids are the type who like a checklist - I know mine does! ), you can even type out your routine and put it on the fridge for the kids to check off every night. When dinner is finished, we clean up the kitchen and I like to make sure we have most things picked up and put away (it's so much easier to clean when you don't have to put away a pile of toys first). Melatonin is an important hormone that regulates sleep. Your body produces more in the evening and at night. But it's also affected by your environment. If there are lots of lights and screens on around you and your kids, your body produces less melatonin. So it's important to turn down the lights in the evening and try to turn all screens off an hour before bedtime. A nice warm bath is a nice way to prepare your mind and body for sleep. I love to add a handful of lavendar infused bath salts to the bath water. It calms the mind and body for a good night's sleep. Turning the screens off an hour before bed gives you plenty of time to cuddle up with your kids and a great book or listen to an audiobook. The kids can be tucked into bed or playing quietly with Legos or a coloring book while you read aloud. 30 minutes before bedtime I love to add some calming essential oils to a diffuser. It's part of our evening routine to add some oils and turn it on before we climb into bed to read. 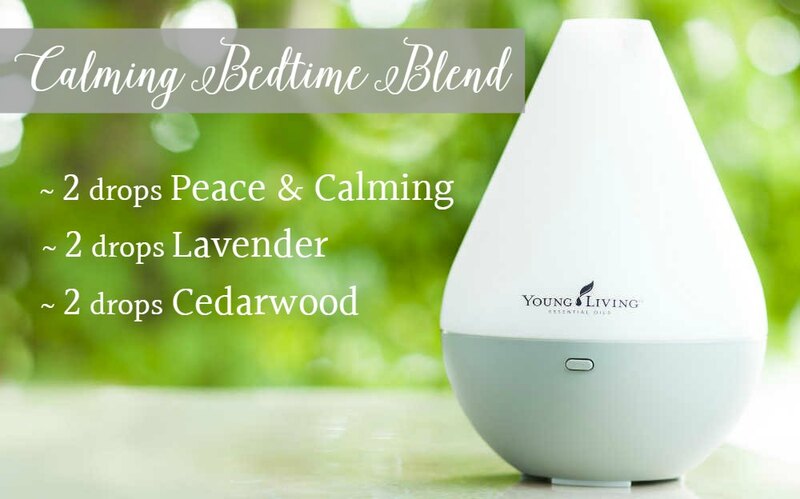 Essential oils have proven aromatic benefits (I sleep so much better when we diffuse our special bedtime blend). Have any tips for creating a peaceful bedtime routine? Creating a calm, peaceful bedtime routine will benefit the whole family. Well-rested kids (and parents) will feel ready to take on the world. How is your bedtime routine - does it need work or have you created the perfect schedule? Let me know your bedtime tips!